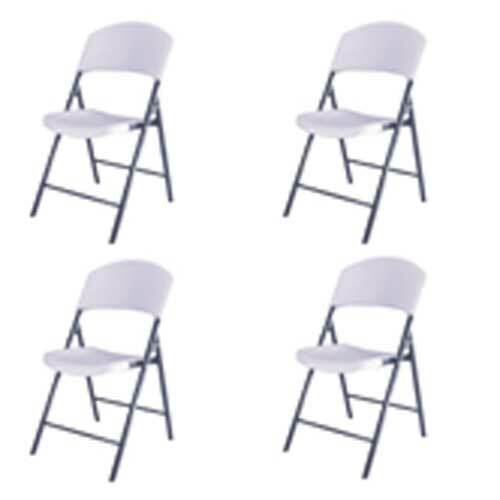 Lifetime Chairs - 42810 White Granite Light Duty Commercial Chairs - 4 Pack. Free shipping for these plastic Lifetime chairs when shipped to the lower 48 United States. 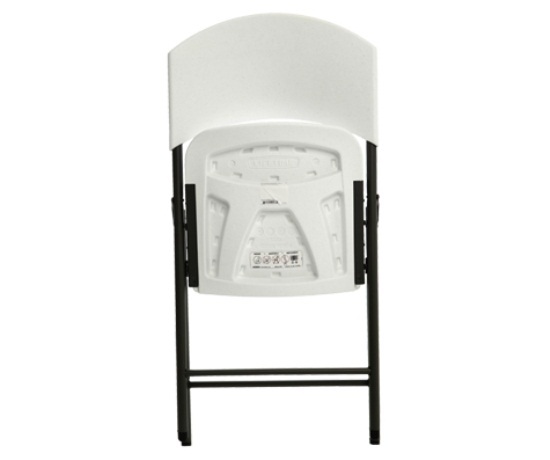 Lifetime folding chairs model 42810 feature a polyethylene plastic seat and back. The polyethylene used for these Lifetime chairs is UV protected, which helps prevent fading, cracking, and peeling like what you see with traditional plastics. 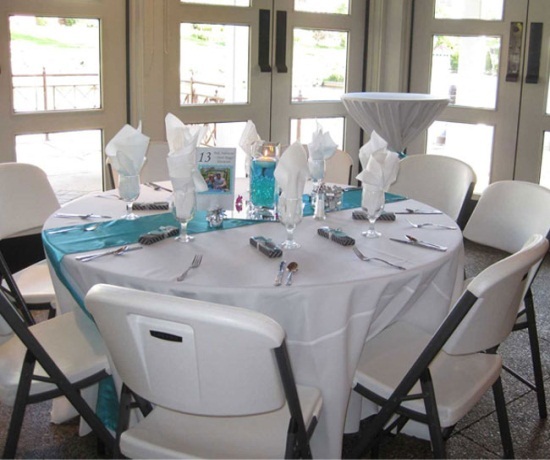 In addition to a powder-coated steel frame, these Lifetime chairs are great for both indoor and outdoor uses. Schools and churches will love the low price point for these plastic chairs, and users will love how the contour seat and back provide ergonomic comfort to the buttocks and back. 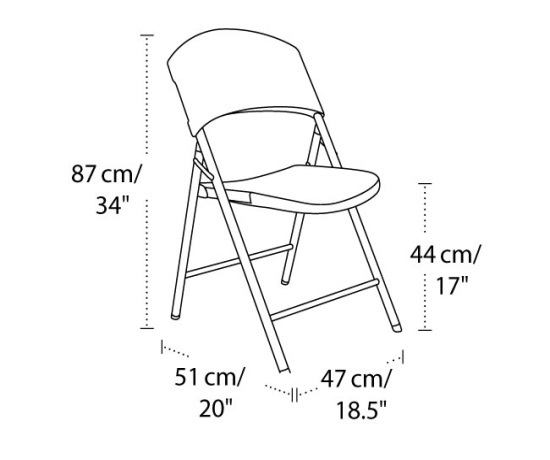 Order your Lifetime folding chairs here. 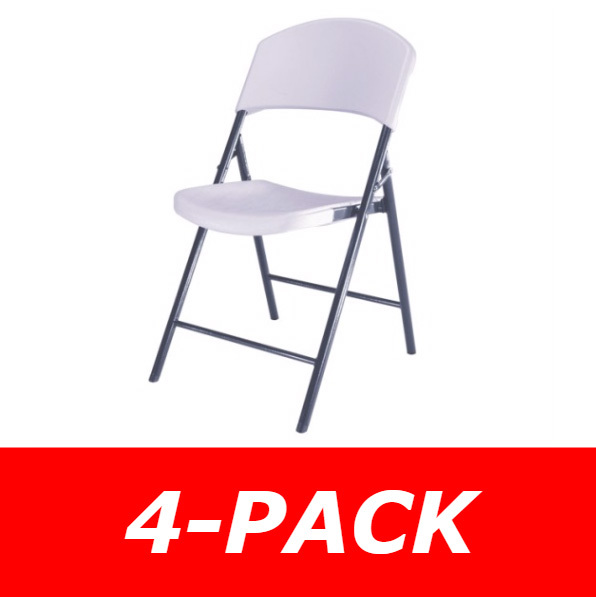 This listing is for one 4-pack of chairs ? does not include tables. Seat and back material of construction: High-Density Polyethylene Plastic. Frame material of construction: steel. Plastic material is UV protected. These chairs will not fade, crack, or peel due to extended sunlight exposure. Steel parts of the chair are powder coated to help prevent corrosion. Seat and back color: white granite. Steel frame color: hammertone gray. Lifetime chair overall height: 34 inches. Each 42810 Lifetime chair weighs about 11 lbs. Steel frame tubing diameter: 0.9 inches. This package comes with 4 qty. Lifetime Chairs. 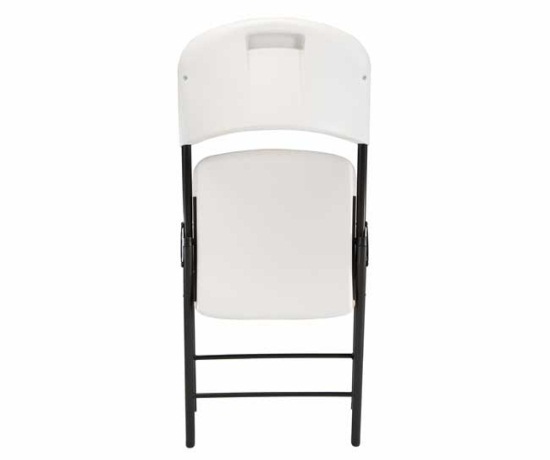 We also carry these Lifetime folding chairs in a 32 pack. I have always loved the durability and the look of the Lifetime chairs, but when I saw this lightweight, thinner one, I was totally excited! These thinner chairs take up half the space and seem half as light. They are still very durable and top quality. I love the extra ease of these chairs. 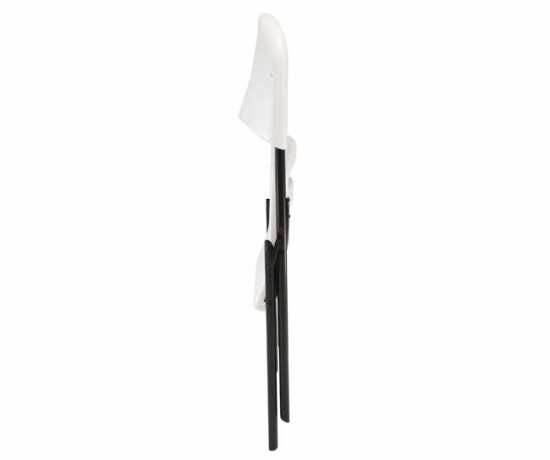 I bought about 16 of these for my wife since she wanted to replace our thicker chairs and more easily store these. 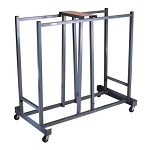 These take up way less space and are much lighter to move around. They feel very comfortable. My wife absolutely loves them as well. Thanks Lifetime for manufacturing such a great product. Q: Your had says “ light duty” , what does this mean? Are these the Lifetime folding chairs or a counterfeit inferior model? A: Light duty refers to weekly use as opposed to the commercial use which is 24-hour daily use. These are genuine Lifetime chairs. Feel free to contact us with any other questions. Q: Does light-duty mean that I can't use this in a business setting? A: It can definitely be used in a business setting. It is designed for commercial use, but not 24-hour daily use like in, say, a factory. This is more of a conference room or waiting or cafeteria setting chair for daily use. Fast Shipping: Orders for the 42810 Lifetime Chair 4 Pack generally leave the warehouse the next business day. Dimensions: 44" x 14" x 19"